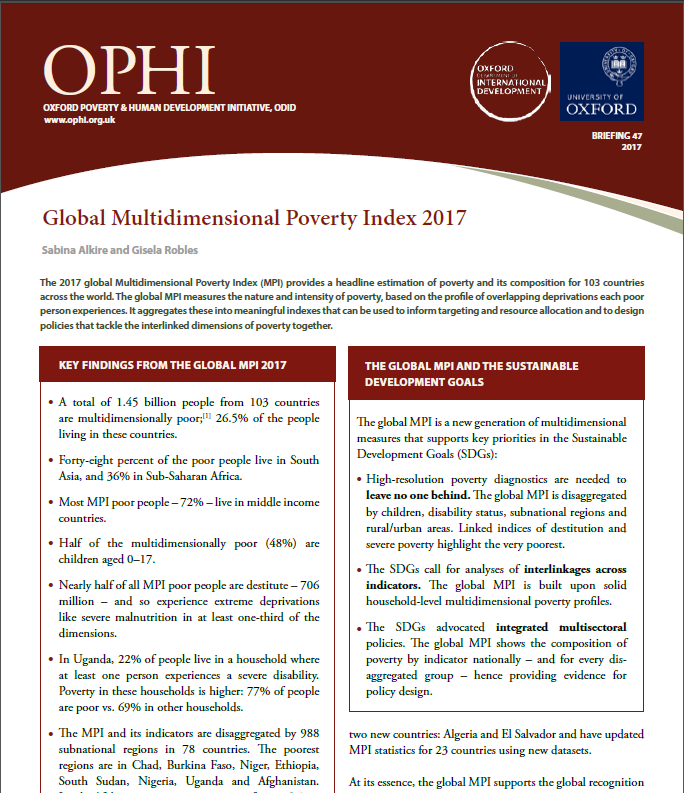 The 2017 global Multidimensional Poverty Index (MPI) provides a headline estimation of poverty and its composition for 103 countries across the world. The global MPI measures the nature and intensity of poverty, based on the profile of overlapping deprivations each poor person experiences. 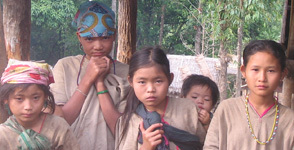 It aggregates these into meaningful indexes that can be used to inform targeting and resource allocation and to design policies that tackle the interlinked dimensions of poverty together.